SEO News - Digital Marketing Outsourcing - Should I? or Shouldn’t I? Digital Marketing Outsourcing - Should I? or Shouldn’t I? With the evolution of modern technologies, the whole world is shifting from analog to digital. Therefore, business organizers who haven’t yet considered digital marketing techniques need to adapt fast to keep up with the rest of the trade. The moment you have decided to go for online marketing, you should decide on how to market your business. It is not easy to decide whether to hire an in-house team or to outsource digital marketing and SEO overseas. When asked for opinions, many entrepreneurs approve the merits of outsourcing digital marketing while others had horrible experience. This research based article will provide you an insight on the nightmares of outsourcing and let you decide on whether or not to outsource your digital marketing. Businesses prefer to develop an in-house team rather than Outsourcing SEO to India or to other countries so that they could keep a close watch on their campaigns. It is always good to have the digital marketing team around having face to face meetings, expressing ideas identifying talents. Having a strong in-house digital marketing team has an enormous potential to grow in leaps and bounds. With the right talents it will pave way to exponential business as digital is the new mantra for business. The team will get used to the company culture and adapt accordingly. This is best suited for corporates and big businesses but unfortunately not all businesses can afford to develop an in-house Marketing team. Recruiting right talents in the digital marketing world is a daunting task which needs a lot of time money and patience. The cost of managing an in-house team should not be taken lightly. According to a research the expenditure for a three member team (Content, Social, SEO) is around $433,000 per year including on boarding, relocation, training, infrastructure etc. On an average it costs roughly $100,000 an year to hire an SEO expert. The team needs a manager who maybe the Boss himself (And tell you what putting together a good digital marketing team is a nerve racking job) or to have someone manage the team. According to glassdoor, the average salary of a marketing manager is $86,533. Latest technology and tools that are essential to increase the productivity, performance and efficiency of your marketing strategy do not come cheap. On an average you may need 10 tools to manage campaigns, social content etc. which will cost another 10-25k per year. Digital Marketing has too many wheels in motion and you have to be on red alert to improvise and adapt to the ever changing trends. What was considered as the best digital marketing strategy a couple of months ago would have become out dated by now. In order to stay ahead in the race, your in-house digital marketing team should have a clear knowledge of the latest marketing trends. Though the field of digital marketing is ever evolving and fast paced, they shouldn’t suffer from skill gap. Only few can predict the way market is going and create their strategies accordingly. 64% recruiters find it difficult to hire skilled candidates for the marketing roles as reported by Bullhorn. If you want to increase the scale of your digital marketing efforts, you may not have the right resources readily available. You should hire talent and invest new marketing strategies in Advertising, PPC, Technical SEO, Offpage SEO, Analytics, Social, Video, and Content etc. to achieve your objective. On the other hand, a Digital Marketing or SEO agency invests more time to widen the range of their resources and know how to use them without any input from your side. What about the availability of human resources? The in-house team handles a lot of intellectual works and they are the bottleneck of your organization. As long as they are unavailable, their work gets stagnated. Hiring backup employees cost even more money. According to Oracle/LookBookHQ, only 47% of the resources used in social media marketing are in-house. People working within an organization may fail to understand the potential need of their customers and it could affect creativity in their performance. They may not have an outside view of the product which could help your content to reach different types of audience. On the contrary, if you outsource digital marketing, they could offer a third person perspective to your business. This would boost the creativity and efficiency in your digital marketing campaigns. Whenever the topic of digital marketing outsourcing is discussed, the highly debated threat is data security and privacy. While unethical hacking, intruding and unauthorized viewing could be mitigated within a corporate headquarters, the same cannot be said when the jobs are outsourced. For instance, if the companies outsource PPC to India or other low wage countries like Philippines or Kenya, they would have to rely on the security measures and policies of the other company. If the data security is compromised, the company could have a hard time getting things right or taking legal actions. If you outsource PPC and SEO services, it may backfire if the quality and customer service is dissatisfactory. A survey which polled 100 companies’ shows that only 41% of them have the quality of the outsourced work met their performance metrics. To ensure quality, it is necessary that the digital marketing outsourcing partner have a strong Quality Control team to monitor and approve the project reports. Good communication between the two companies is always crucial to achieve success. It is a key factor to achieve the desired results in an outsourcing engagement. By sharing information in a proper and effective manner, clarity of objectives and correct placement of interests is clearly done. In cases where the only purpose of outsourcing is cutting the costs, communication takes a backseat. Failure in developing an effective communication program will make the complete assignment a failure. It is necessary to overcome barriers for communication in Outsource digital marketing in an effective manner. Encouraging interactive conversations and being proactive will further encourage the recipien5 to absorb the communications. It is highly challengeable to outsource SEO to India or related countries. About 31% of the participants consider time zone differences very difficult while outsourcing to a different country. Asian countries have half day’s difference with the North American geographies, which makes regular communications hard. Delays in project may occur when the client has to do certain tasks on a particular time before the vendor can deliver them due to difference in work schedules. Hence it is always important to communicate beforehand to synchronize some working hours. Cultural differences play a major role when you outsource SEO overseas. This is something that is serious. Difficulties can arise in terms of difference in corporate culture and regional culture. Both the parties have different working styles, decision making and organizational structure. You really need to think long and hard about corporate structure before starting the outsource SEO operation. In Outsourcing world, the success and failure depends on how well both the clients and vendors are capable of adapting. To ensure that the vendor could adapt as necessary, it is important to choose a reputable and experienced company that is in harmony with your industry. This is the most critical part. There are a lot of options available once you have decided to outsource digital marketing to India or related countries. The next step is identifying the right outsource partner. You must be sure that you have the right outsourcing partner by our side. Outsourcing digital marketing is not only about cutting down expenditures. It is also about the capability of processing things faster than your competitors with maximized and highly qualified workforce. Trust is the rock on which outsourcing is built. And the best way to establish trust is through thorough research not naivety. If you outsource PPC or other services to an outsourcing partner, it is necessary to conduct preliminary analysis on the ethics, history and achievements of the digital marketing service provider. Find out the core values of the company and look for any litigation, Court action, Pending cases on the company. Know the background of the board of directors, management heads etc. Look for accreditations from trusted third parties. For e.g. NAASCOM (The National Association of Software and Services Companies) Verifies the Authenticity of companies by rigorous testing and analysis of a company’s performance before they accredit a company. Same goes with Google, Google have partnered with agencies which are trustworthy, efficient and deliver results to their clients. Experience matters. It is better to work with a partner who has years of experience in the field and has done similar projects than startups. This is simply because; an experienced agency will have better understanding of the trends in the past and can speculate and adapt themselves to future ones. Only an experienced digital agency would be capable of scaling up fixing unexpected problems and upheaval. (The National Association of Software and Services Companies) which is a global trade body with over 2000 members, of which over 250 are companies from the China, EU, Japan, US and UK. 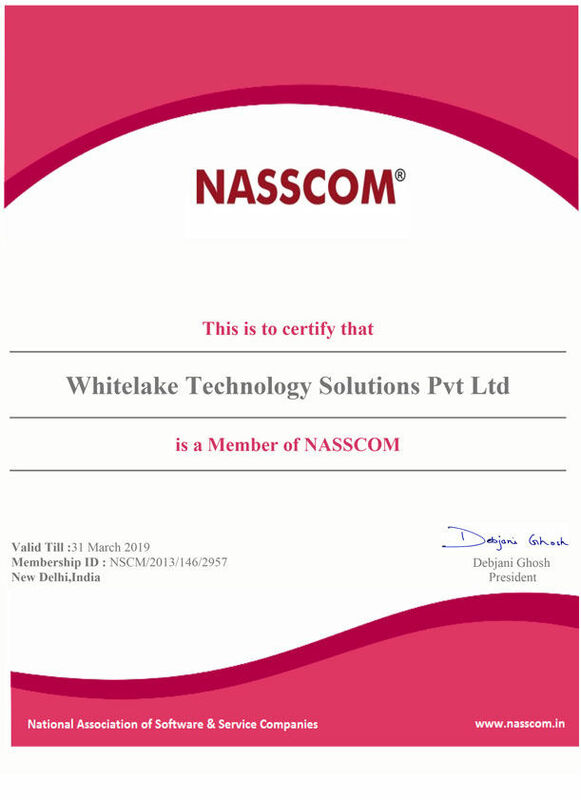 NASSCOM's member companies are in the business of software development, software services, software products, IT-enabled/BPO services and e-commerce. Ask for certifications of employees, you can check it out in Linkedin. Check if they are graduates in that category along with certifications from Google such as Google Adwords expert, Google Analytics expert etc. 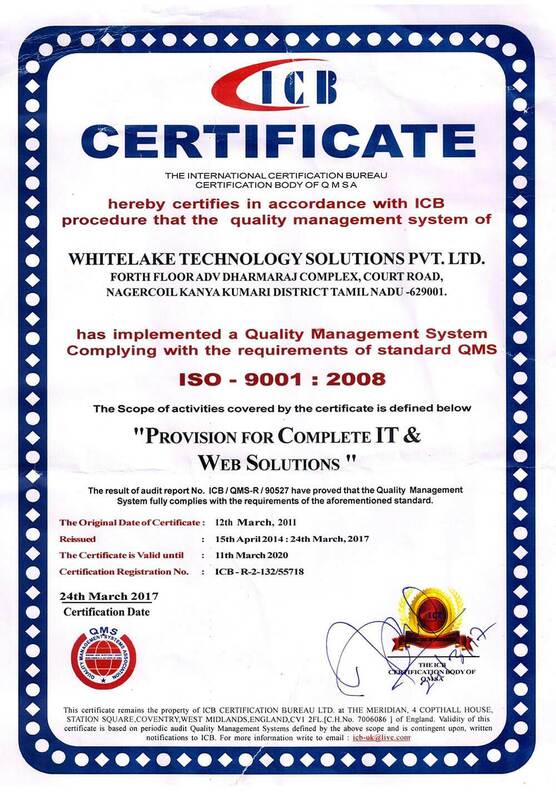 Look for companies certified by the latest, revised ISO standards as these adopt a process oriented approach and emphasize on measuring process performance and effectiveness. Other than helping measure and improving quality standards, it also ensures that the company follows defined processes and abides by quality parameters set by the regulating body. Also, check if the particular SEO company has affiliation with national and international bodies. An inferior company would not have the necessary budget or would assume it is not necessary to get affiliated. The vendor’s scope and quality of services could also be determined by reviews. However, it is important to consider reviews that only come from an authorized body such as Google. Beware of any anonymous reviews that praise an outsource SEO agency online. Awards and industry recognitions are a good general measure to learn about the reputation of your digital marketing partner. Research says that companies, just like employees, perform better if they are recognized for their accomplishments. Also, awards say a lot about the quality of an organization and the strength of the management team. Good Outsourcing Companies have a list of references detailing different and varied clients with up-to-date contact information including: company, name, title, email/phone number and a briefing on the project of what was done. By contacting these references, you can get an insight on the responsiveness of the vendor and how challenges and setbacks in the project were handled and the level of customer service. By this face to face meeting, a reliable digital marketing agency can exhibit their understanding of your business process requirement, work flow and improvement opportunities. You, in turn would have to chance to ask questions before the selection is done. Identifying your Digital Marketing partner’s stability helps you determine it can survive in the long run. You can use fundamental analysis of balance sheet on how much revenue they make/made in the past 3 years to measure the value and performance of a company relatively to other companies in the same industry. It is a very important factor that could make or break a good outsourcing relationship. Therefore, determining the communication practices of the potential vendors is a must. If you want to outsource PPC to India, find a partner who would be able understand your language and communicate with you fluently. This might help you to make them understand your business objects. It is an important feature to take care of. A full-fledged NDA would ensure that your confidential information is well protected. Choose a company that is capable of providing you with it. So Should I Outsource Digital Marketing or Not? If you had the patience to read the entire article you must have come to a decision on whether or not Outsourcing digital marketing is a beneficial move for your business. If you have not, trust me, even I would have skipped a number of sections landing here as soon as I can. So if you are like me here is the answer. If you are a corporate the best thing to do is build a strong inhouse digital marketing team who will fiercely and loyally take your brand, grow your business in leaps and bounds. Even if you invest heavily on the long run it will bear the fruits. For any organization over 200 employees I would suggest to build a young and strong team starting with a couple of staff. Provide the team full freedom to operate and isolate them from Old Schools as internal politics, ego and everything would emerge. Do not hire a jack of all trades. SEO is very different from Social and PPC is entirely different from the other two. Start with a Technical SEO & Content expert and then you can widen the base to Social, PPC, Design, Analytics etc. If you are a growing startup, small or medium business my recommendation is to get the right digital marketing partner within your locality if the rates are affordable and the agency has the potential to deliver. If you just can’t find one then invest your time to get the right outsourcing partner abroad. Look for a long term association based on what I have said in finding the right partner as this can be very tricky which may kill the purpose of outsourcing by consuming your time and money with unpleasant surprises. Join hands with an agency which realize that your growth is their growth as you grow you spend more they get more. Do not pay upfront for an years’ service but try to pay monthly or quarterly. Define your business goals & expectations, measure the success by milestones. Demand for authentic data such as Google analytics to measure the success. Conduct hangouts or net meetings from time to time to ensure smooth relationship.